Start your RV adventures with a super deal on your dream RV from National RV Detroit! With our great prices and excellent customer service, we're regarded as one of the top RV dealers in Michigan - and the nation! Our lot at 44700 N I 94 Service Dr Belleville Michigan 48111 is full of top quality, famous brand RV models, including this New 2018 Forest River Forester 3271S! For more information about this Gas Class C Motorhome or any other of our top brand models, call us at 734-439-3400 and talk to one of our friendly, knowledgeable RV experts! 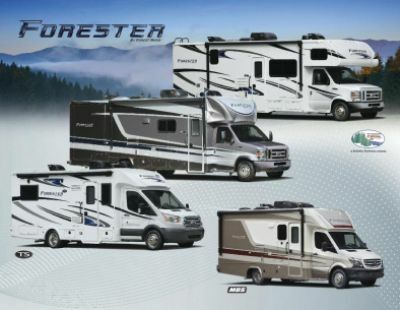 Save $1000s on your dream RV! Long journeys are a breeze with this RV, which has a hitch weight of 7500 lbs. and GVWR of 14500 lbs. For shade and comfort outside this Gas Class C Motorhome, you'll find that the 16' 0" awning is perfect! This Forester 3271S is built for easy, comfortable living on the road! 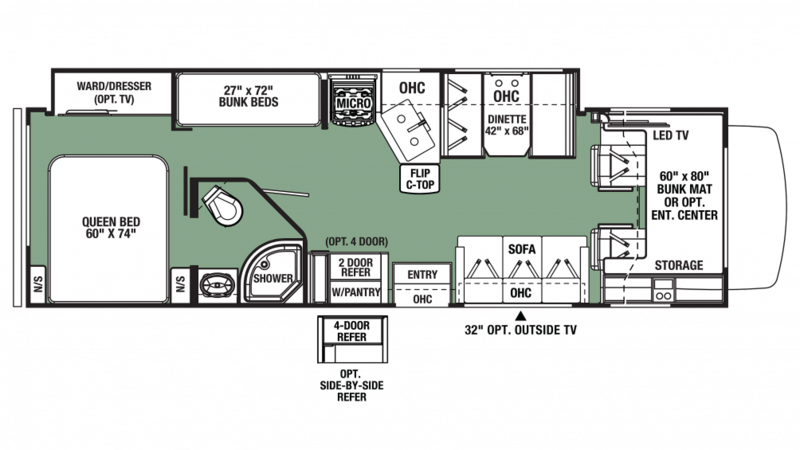 It's a roomy 31' 11" long, 8' 5" wide, and comes with 1 slideouts that maximize living space inside! And when the weather outside isn't cooperating you can use the efficient 30000 BTU furnace to stay cozy and warm, while the 13500 BTU a/c unit will keep everyone cool and comfy when it's sizzling outdoors! After a full day of outdoor fun, nothing feels better than settling down to a good night's sleep! You'll do just that, in the beautiful bedroom of this RV! It's handsomely furnished with storage for clothes and sundries, and has a comfy Queen bed where you'll ease off to dreamland in no time! A family of 8 can sleep comfortably in this lovely camper! Enjoy something different from the campfire food and restaurant chain offerings with the kitchen in this Gas Class C Motorhome! Cook up tasty meals on the 3 burner range cooktop, and store fresh food in the 6.00 cu. ft. refrigerator! The sink offers plenty of clean water from the 44 gallon fresh water tank! Check out the bunkhouse and you'll see comfortable Bunkbeds! There's a total of 3 beds throughout this comfy camper!